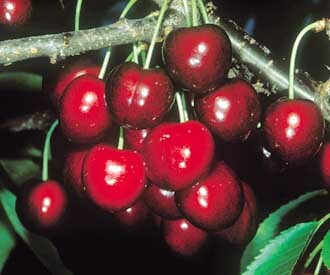 Cherries conjure the image of a hot sunny summer’s day more than any other fruit. No fruit tastes better straight off the tree than cherries. Cherry trees are popular garden fruit trees not just because of their delicious fruit but also because of the profusion of white blossom in the spring and attractive red and gold display of colour in the autumn. Cherry trees are relatively easy to grow. The main problem has always been to prevent birds from taking the fruit. With the advent of modern dwarf cherry rootstocks it is now possible to grow smaller, more manageable trees which can be netted to protect the fruit from the birds. Here at Keepers Nursery we offer over 50 varieties of cherry tree for sale in any one year and we can produce many others to order. We have listed a relatively small range of the most popular and our recommended varieties. You can see the full range by clicking on the relevant links below. Click here for a guide to choosing cherry trees. 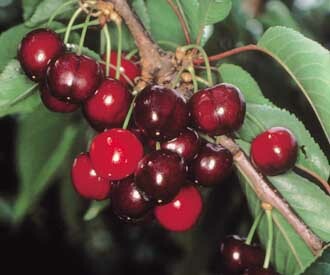 The most popular of the sweet cherries. These range in skin colur from bright red to almost black. The colour can vary considerably depending on the amount of sunshine and degree of ripeness. Please find below 9 of the most popular and recommended varieties. We can offer a total of 142 varieties - click here. One of the ealiest cherry varieties to ripen. Once widely grown in Kent. One of the best new sweet cherries. Large dark red/black fruit resistant to cracking. 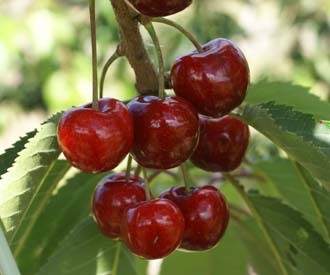 Also known as Cherokee, this is very popular heavy cropping self-fertile sweet cherry. One of the best new cherries raised at East Malling in Kent. One of the best new commercial dark red cherries with good resistance to cracking. 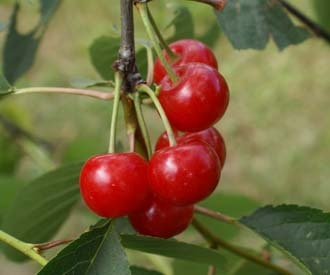 The most popular sweet cherry in the UK. Self-fertile and reliable cropper. 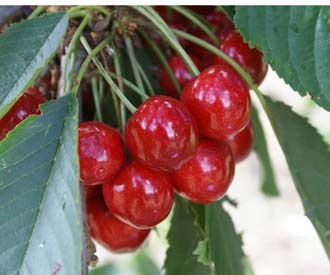 An excellent sweet cherry with good frost tolerance particularly suitable for colder locations. A heavy cropping self fertile cherry producing large sweet almost black fruit. 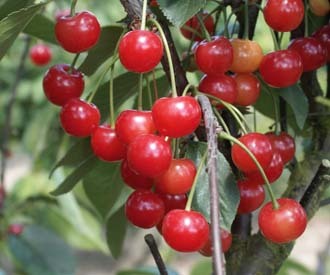 One of the best modern commercial self-fertile eating cherries. 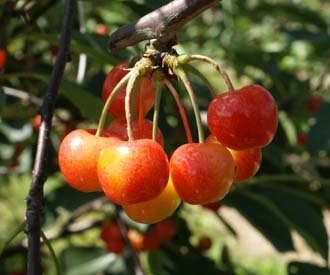 Also known as white cherries these have yellow skins flushed with differing amounts of red. The flesh is white. Please find below 4 of the most popular and recommended varieties. We can offer a total of 25 varieties - click here. One of the best quality red on yellow cherries. 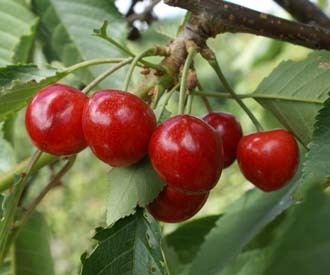 A popular traditional white cherry once widely grown in Kent and known as 'Kent Nap'. A high quality modern red on yellow sweet cherry. 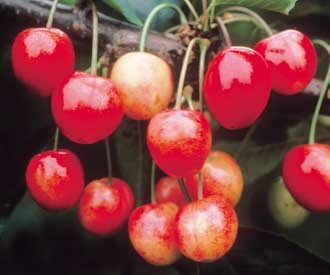 A popular red on yellow sweet cherry once grown commercially in Kent. These are modern sweet cherry varieties which produce excellent quality fruit and are self-fertile so can be grown on their own. 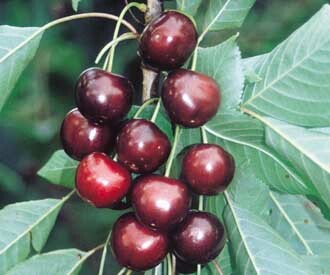 Acid cherries belong to a distinct but closely related species Prunus cerasus. 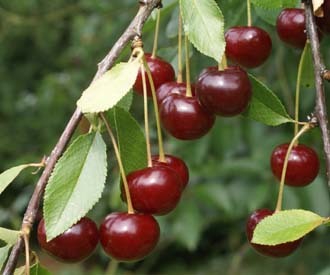 The fruit is smaller than sweet cherries, has a strong cherry flavour and is of course acid. These are the best cherries for jam. Please find below 3 of the most popular and recommended varieties. We can offer a total of 7 varieties - click here. 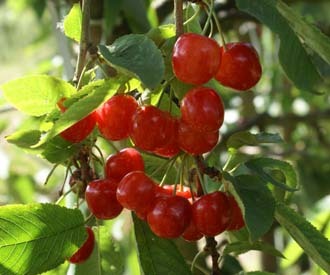 A high quality acid cherry with strong cherry flavour excellent for jam and other culinary uses. 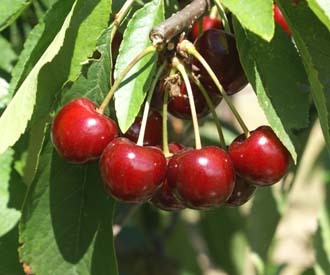 A high quality culinary cherry very popular in America for cherry pies and jams. The best known and most widely grown of the acid cherries in the UK.